We buy houses in Tennessee for cash. We pay cash for houses in Tennessee in any condition. Call (865) 999-0025 Today! 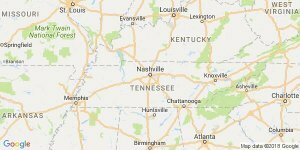 If you have been asking yourself “how do I sell my house fast in Tennessee?” or “who will buy my house in Tennessee?”, you’re in luck. Nexus Homebuyers is the premier local cash home buying company in Tennessee. We are able to buy your home in “as-is” condition, while still paying a fair price. That means you don’t have to make any repairs and you can leave your home exactly how it is. No matter what condition your home is in, we can make you a fair offer. Let’s face it, the traditional home selling process is awful. That’s why our mission is to make selling your home fair and simple. Our 3 step process allows you to sell your home on your timeline, while still receiving a fair offer. Take a look at how it works below. Why Sell Your Tennessee Home To Nexus Homebuyers? When searching for a “company that buys houses in Tennessee“, look no further than Nexus Homebuyers. We have bought homes all over Tennessee and helped hundreds of homeowners sell their home fast. We have excellent reviews from our happy clients to prove it. Our company has been in business since 2015 and we are accredited through the Better Business Bureau. We not only buy houses, but we also buy townhomes, duplexes, triplexes, quads, apartment complexes, land, and commercial property. Since we buy in as-is condition, don’t worry about your tenants. We will buy houses even with problem tenants. You don’t need to clean up and repair your property – you save time, money, and the headaches of hiring a contractor to do the work for you. We take care of all of that for you. Don’t waste time finding an agent who you trust and who can deliver on their promise of selling your house quickly – since we are paying cash for your Tennessee home, there are no agents to deal with. You get to choose the closing date! You won’t need to sign a contract that binds you to an agent for a certain term – we will buy your Tennessee home on your timeline…no matter if that’s two weeks or two months from now. There’s no dealing with the paperwork and the waiting and wondering (and hoping) that your home will sell – we handle all the paperwork and heavy lifting for you. Once we agree to terms for your home, our team handles the paperwork and you can rest easy. We have so many happy client success stories – we have helped hundreds of homeowners throughout Tennessee. If you have been struggling to sell your home in Tennessee, give us a call at (865) 999-0025 or click on the form below to receive a no obligation cash offer on your Tennessee home. We buy houses in Tennessee in any condition or location. If you need to sell your house fast in Tennessee, give us a call. We’d be happy to work with you and find a solution to your problem house. No situation is too difficult for us to solve. So call us to day…what do you have to lose?